Submitted 2 months 1 week ago by feeds user. 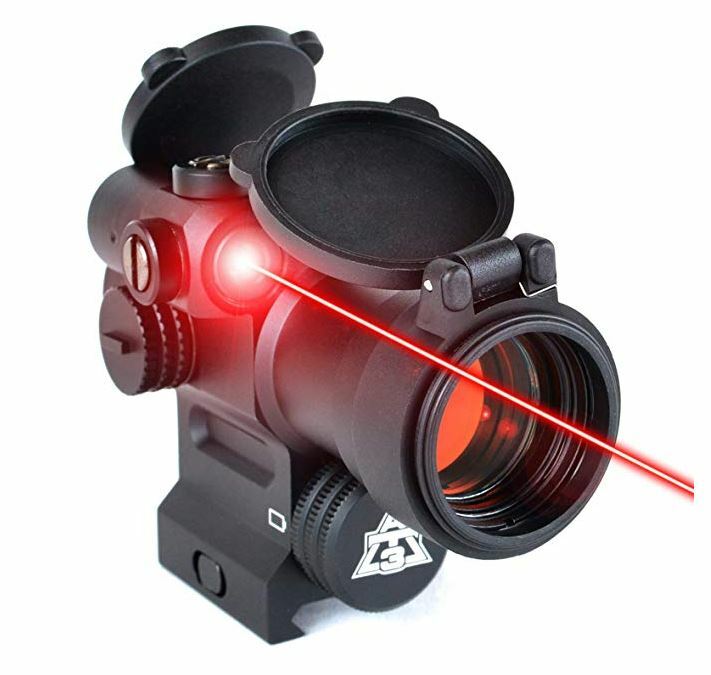 Crisp 2 MOA Red Dot & Brilliant Red Laser with W/E Adjustment. 50K Hour Max Battery Life Riser Mount Housing, Flip Up Lens Caps, & Tool-free Windage & Elevation Adjustments Durable, Waterproof 6061 Aluminum Housing - Lifetime AT3 Warranty Ideal for home defense, tactical & law enforcement, hunting, plinking, competitive shooting, or any shooting scenario where magnification is not required. For use on sporting & hunting rifles, shotguns, air rifles, & any other weapon with a picatinny or weaver mounting rail.